George Bownes was born at just 23 weeks and six days last July weighing 700g. 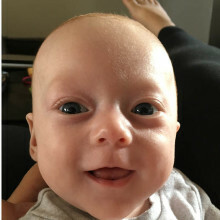 At six days old he became seriously ill with necrotising enterocolitis and underwent emergency surgery and miraculously he survived the procedure. 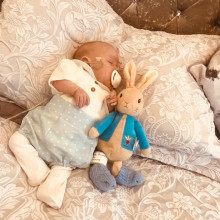 When he was five months old George was transferred to Sheffield Children’s Hospital and his parents, Hanna and Daniel, moved into Magnolia House. An hour was far too long to be away from our son, thankfully we didn’t have to be. At a young age Connor was diagnosed with a condition called scoliosis, which is the curvature of the spine. By the time he was nine years old, his spine had curbed to 96 degrees. 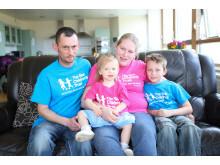 Last year, he had to undergo world first pioneering surgery at Sheffield Children's Hospital. 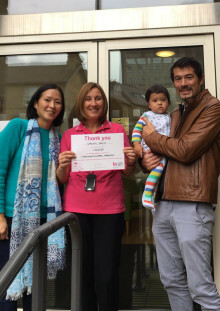 During this time, his parents Michaela and Marios were supported at Magnolia House. It’s been a rocky few months since Finn was admitted to Sheffield Children’s Hospital with lots of ups and down. I wish I could wrap my baby up in a bubble to keep him safe. Ann and her team in Sheffield will forever be in our hearts. Lottie has defied everyone’s expectations to make it home in time for Christmas. We couldn’t be happier and can’t wait to introduce our greatest gift to all our friends and family. Please see the attached family story. 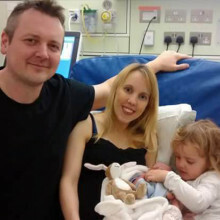 Kim and her partner, Jamie, were terrified when they were told their unborn baby had duodenal atresia, which meant that a portion of her small intestine was closed off. 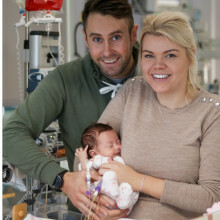 Lottie needed lifesaving surgery at Sheffield Children’s Hospital just hours after birth. When we were told our daughter might never walk again, we needed a space away from the hospital to come to terms with it. 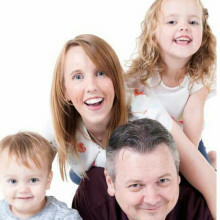 Esmae suddenly became seriously ill just a week before Christmas and within days had lost movement in her entire body. She was diagnosed with a rare disease called transverse myelitis, which was causing inflammation of her spinal cord and swelling on her brain. Esmae spent the entire of Christmas in hospital, but didn’t wake up alone on Christmas morning because of Magnolia House. 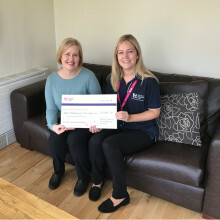 Jayne was named Hays Healthcare Nurse of the Year and as a result nominated The Sick Children's Trust as her chosen charity to donate £1,000 to. Rorie's parents, along with their friends, have raised over £3,200 for Magnolia House as thanks for supporting them when Rorie needed brain surgery at Sheffield Children's Hospital. Magnolia House was really important to us, especially when we tirelessly hoped Rorie would continue to battle on and prove doctors wrong. 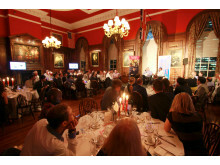 The Sick Children’s Trust gave us a ‘Home from Home’ for over eight weeks whilst Oscar was in hospital. When we were going through hell they provided us with some sense of normality. 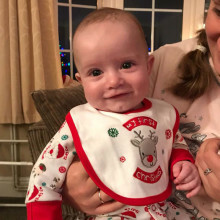 Oscar was diagnosed with encephalitis, an uncommon but serious condition in which the brain becomes inflamed in February this year and he was transferred by emergency to Sheffield Children's Hospital for lifesaving treatment. Once there we gave his Mum and Dad free 'Home from Home' accommodation at both Magnolia and Treetop Houses for eight weeks until he was discharged home. 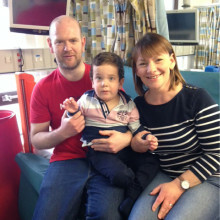 In February baby Finn became seriously unwell when he was just six months old. He was transferred to Sheffield Children’s Hospital with extreme breathing difficulties and a dangerously high temperature. On arrival Finn was sedated whilst doctors battled to save his life. Two days later, and with her baby still seriously ill, Mum, Shannon Brown, was relieved to be offered a room at Magnolia House. Our daughter had to undergo a surgery that, to our knowledge, no child in her situation had ever had. But thanks to The Sick Children’s Trust, we could be right by her side. Helen's niece, Rio, was involved in a serious car accident which left her fighting for life in a hospital 50 miles away from home. 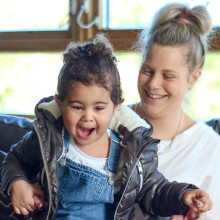 During her time at Leeds General Infirmary and Sheffield CHildren's Hospital, we supported Rio's family with free 'Home from Home' accommodation. 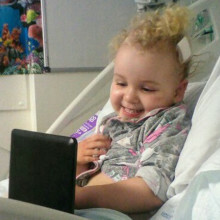 I can’t put in to words what it feels like to be told your two year old daughter has a life-threatening brain tumour. And that it’s growing so deep inside her head that they might not be able to remove it all. 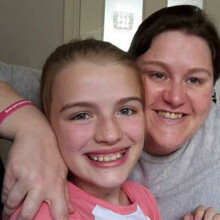 Mum, Dani Spence, stayed with us at Magnolia and Treetop House whilst her daughter, Lacey, underwent lifesaving treatment to remove a brain tumour in Sheffield Children's Hospital. Fortunately Lacey is now out of hospital and recovering well. Here Dani tells her story. When Summer-Mae was strong enough we were invited to take her to a tea party at Treetop House and we caught up with the other families and staff. Summer-Mae was born in November 2008 and is seriously disabled. 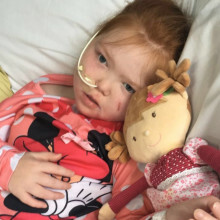 Last September, while the family of nine were on a family holiday together, Summer-Mae became seriously ill and had to be ventilated and placed into a medically induced coma before being transferred to Sheffield Children’s Hospital. We supported her family whilst Summer-Mae recovered. 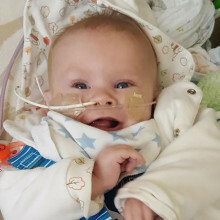 Freddie is a baby boy who was born with tracheo-oesophageal fistula (TOF) and oesophageal atresia (OA), which meant the lower part of his food pipe was connected to his wind pipe. As a result he underwent his first corrective operation at only 24 hours old. The Sick Children’s Trust supported his family at Magnolia House whilst Freddie was being treated in Sheffield Children’s Hospital. Zac Keith was born with hydrocephalus and cerebral palsy in January 2013 at just 29 weeks. 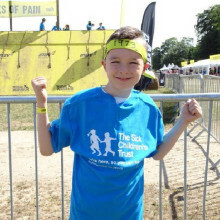 His parents were supported by The Sick Children’s Trust after he was transferred to Sheffield Children's Hospital. 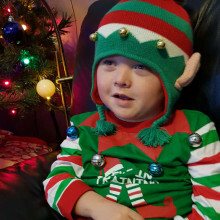 2017 has been a tough year for Zac, who has been in and out of hospital and once again his family have been supported by the charity on three separate occasions. 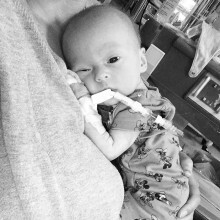 At a week old, Chace underwent major surgery to remove 40cm of his bowel as a result of necrotising enterocolitis. We supported his family at Magnolia House on two occasions and now his family are encouraging others to donate £30 to our Christmas appeal, to give another family a 'Home from Home'. Thanks to Magnolia House, I was able to be there for him throughout it all – he was never alone. Less than 48 hours after taking their baby boy home, Jane and Simon Careless were back in hospital, standing back and watching their new-born, George, undergo countless scans and X-rays. Doctors diagnosed him with Hirschsprung's disease and he was transferred to Sheffield Children’s Hospital for urgent treatment. We have given his family a ‘Home from Home' each time he has been in hospital. Pop on your Pyjamas to raise money for seriously ill children in hospital! Chace was born at 31 weeks, weighing 3lbs 13oz and at six days old, he suddenly went pale and became completely lifeless. An X-ray revealed that Chace had necrotising enterocolitis, meaning the tissues in his bowel were inflamed and were starting to die. He required immediate surgery at Sheffield Children's Hospital and we supported his family at Magnolia House at this time. Knowing I had somewhere to stay so close to Jacob gave me great peace of mind. And I think being so close to Jacob helped him too. Jacob was attending his local hospital in Wakefield for hamstring release surgery and the removal of some of his teeth when he suffered a respiratory arrest. He required life saving treatment at Sheffield Children's Hospital and we supported his family at Magnolia House during this time. 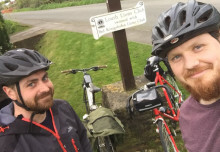 Gary Westerby, 34, and Rob, 32, have cycled over 170 miles in memory of their friend’s son who died last year at just eleven days old.